“Low T” is an oversimplified nickname for a hormone disorder that isn’t always quite so simple to diagnose. You see, an adult can develop a low testosterone level (which is what Low T stands refers to) and not exhibit any problematic symptoms; asking their doctor what is testosterone therapy would probably not occur to a person under these circumstances. However, the development of testosterone deficiency can and does trigger related health problems for thousands of US adults every year. Given the fact that only about 5% of the adults in the US who have health issues that are likely being caused by this type of hormone deficiency are currently receiving medical treatment for it, it would be fair to say that Low T is definitely an under-diagnosed condition. But before you run to your regular physician and request a diagnostic blood test, why not spend a few minutes now learning what testosterone replacement therapy (TRT) really is; what it can do for you; and what type of doctors are experienced in prescribing it for their patients. It requires a certain measure of experience and expertise for medical professionals to be able to accurately diagnose and successfully treat symptomatic testosterone deficiency, and not all doctors have this. So as a consequence, many people have been seeking treatment for their Low T symptoms from physicians and clinics that specialize in adult hormone replacement therapy. You might not have even realized this if you hadn’t read this far; or perhaps you did, but figured that your being able to find a hormone replacement medical specialist in your area probably wasn’t going to happen. Yet by reading a little further, you will quickly gain some very helpful information regarding what is testosterone therapy and how you can receive a prescription for using it. Should You Use Testosterone Injections or a Topical Treatment? TRT doctors will typically prescribe one of two different forms of supplemental testosterone for their patients, either a topically applied formulation that is absorbed through the skin or the injectable form, which patients can also easily learn to self-administer. Both contain bio-identical testosterone that is completely compatible with your endocrine system. By far, the injectable form is the one that most patients use because doctors can rely on its effectiveness and patients generally find it to be more convenient to use overall. Recently, some other delivery methods have appeared on the Low T treatment scene, such as time-release pellets that are inserted under the skin; and if you had asked a medical professional about what is testosterone therapy twenty years ago, you would have been told about injectable testosterone, because that was the only option that was available. However, many doctors still prefer to prescribe this form because of the consistent desirable results that it delivers to patients. But for those patients who don’t want to deal with injections, the topically applied forms of treatment have been shown to increase deficient male hormone levels and eliminate symptoms; although there has been some debate as to whether they work as effectively as testosterone injections. At Nexel Medical, our clinical advisors are very well informed about both types of treatment and are always happy to discuss them with anyone who is considering a medically prescribed testosterone replacement program. Find out what the pros and cons of each are, and then you will be able to make a well-informed decision of your own regarding which is the best choice for you. How Do You Locate a Qualified Testosterone Therapy Doctor? Have you tried asking your regular doctor to explain what is testosterone therapy to you? 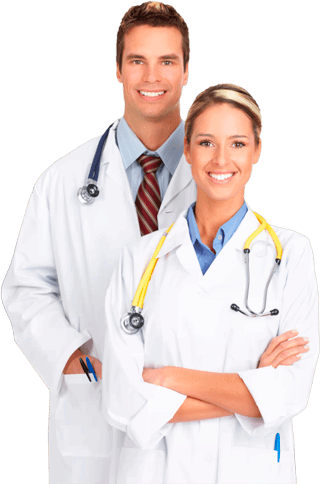 If you don’t believe that your primary care physician is experienced in the diagnosis and treatment of hormonal disorders such as testosterone deficiency, then how do you go about finding a professionally qualified TRT provider – preferably one who is located in your local area? Here is what Nexel Medical suggests that you do. Find out which online medical providers can provide testing and treatment for your Low T that is accessible to you locally, like we do, and then call and see what your initial impressions are regarding how courteously and professionally you are treated; how well your questions about testosterone replacement therapy are answered; and convenient their treatment procedures would be for you to complete. Think of this as a telephone interview that you are conducting in order to see if you think Nexel Medical or any other provider you contact would be a good fit for you. You just call or email Nexel Medical to request having a local blood test and medical exam performed under the supervision of one of our TRT qualified doctors in your area. You can submit your medical history to us using our easy online form – it’s right on our website. Once your Nexel Medical prescribing physician has reviewed and evaluated your test results, your current physical condition and your symptoms, the medically appropriate program of testosterone replacement therapy will be prescribed for you. With your valid prescription, you will be able to conveniently purchase your injectable (or topical) treatments online, using our secure online pharmacy. They will be promptly shipped and delivered directly to you at either your home or office address. Can Side Effects Accompany Testosterone Replacement Therapy? Part of gaining a comprehensive understanding of what is testosterone therapy is learning about its potential for causing side effects. In all medical treatments, both doctors and their patients have to consider the benefits versus the possible side effects that might be experienced. It’s the same with testosterone replacement therapy. Every patient has to weigh whether the possibility of experiencing oily skin or acne; increased frequency of urination; minor fluid retention; and the worsening of sleep apnea are acceptable to them in exchange for the elimination of their Low T symptoms. Not all patients experience these effects, but some experience them in varying degrees of frequency and intensity. More rare are possible associated effects such as male breast enlargement; decreased testicular size; and feelings of aggression or moodiness. And while inconclusive, some studies have suggested that using TRT can increase the risk for blood clots, prostate cancer, heart attack, and stroke. This illustrates why it is critical to have the right doctor supervising your treatment for testosterone deficiency, because using the correct dosage and having your blood levels checked on a regular basis not only supports a safe and effective treatment experience, it also minimizes the risk for experiencing unwanted side effects.